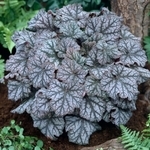 Heuchera 'Mars' forms a compact dense clump of beautiful foliage. 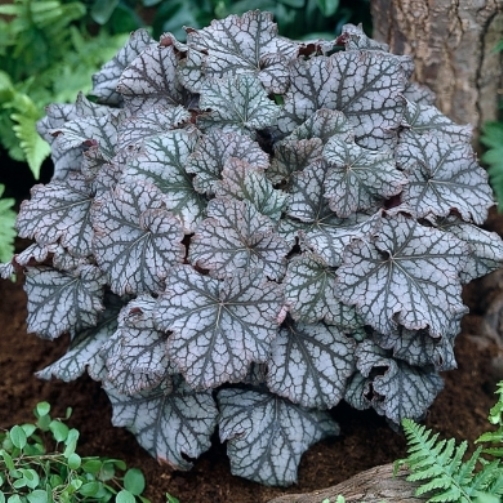 Leaves are a pale purple-red with dark veins, giving it a stained glass window effect. The leaf margins are etched to perfection. An early season bloomer of white flowers just above the clump. This plant is part of the European "Planet Collection". A strong grower sure to please.